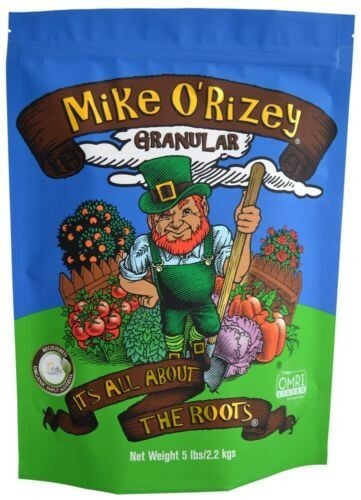 Mike O'Rizey is a beneficial soil organism inoculant. It contains a diverse blend of mycorrhizal fungi that once established increase the surface area of your root system 100 - 1,000 times. 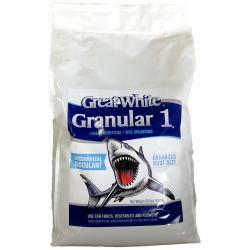 This greatly increases the nutrients and water available to your plant. What results is a larger more robust plant. Partner this up with a diverse blend of beneficial soil bacteria that help cycle nutrients to your plant and you have one seriously alive and dynamic soil. Use at planting time, when transplanting or add to existing plants. 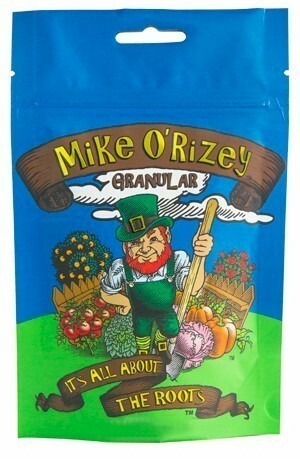 Don't plant without it! 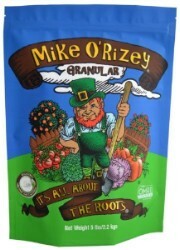 Spread the granular at the bottom of the planting hole. While filling the planting hole, it is good to spread some around the roots. 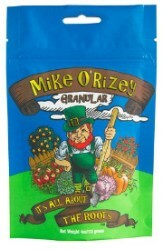 Mix 4-8 oz. with 2.5 cubic feet of soil. Make holes 2-3 in. deep and 6 in. apart around the canopy of the plant. Use 1 tsp. per hole for optimal performance. Apply during installation or aerification of turf. During installation or aerification use .25 to .5 pound per 1000 sq. ft.
Inoculum can be mixed in planting soil before/during filling cavities, pots, and trays. May be mixed with mechanical equipment that allows passage of a #8 screeen (2.5mm) or larger particles. For propagation: Use 2-6 pounds per cubic yard, depending on cavity size (higher rates for smaller cavities). Apply in furrow 1 teaspoon per row foot; Cuttings- 1/2 teaspoon under each cutting; Potted Transplants- Use 1-2 tablespoons per gallon planting size; Ball and Burlap plantings- Use 0.5 to 1.5 ounces per inch of stem caliper. Band or mix with seed at 2lbs/acre. 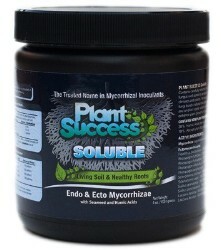 Not for sale in the following location(s): CT, HI, IL, MN, OK.
Plant Success Soluble Mycorrhizae 4 oz. 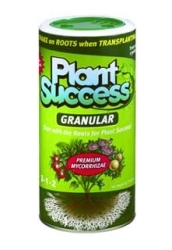 Plant Success Granular Mycorrhizae 16 oz.